According to a spokesperson, Hollywood actress Shailene Woodley has been arrested on Monday. The police reportedly placed the Divergent star into custody for illegal trespassing. She was protesting along with some other people against the Dakota Access Pipeline. The over 1 000-mile pipeline will go from the Bakken Formation (an oil-rich area and a big underground deposit) into South Dakota, Illinois and Iowa. The concert with this pipeline is that it will seriously damage the environment. It will most likely also impact some historical Native American tribal lands. People from more than 200 of tribes have supported Standing Rock Sioux’s effort to stop the construction of this pipeline and to protect the lands. Waters and sacred sites are also in danger from the construction. On Monday, there were around 200 people protesting. Shailene Woodley was one of them. In an official statement, her publicist said that the actress had been released from the custody of the Police, inside the Morton County Jail. The police charged Woodley with criminal trespassing and engaging in riot. Her first court date is due October 24. Shailene Woodley actually filmed her entire arrest and posted it on Facebook, on her official page. Since then, more than 2 million people have seen the video . The actress explained in the video that she did not do anything and she was just walking to her car. Then someone grabbed her by the jacket. According to her, some security forces armed with guns and batons stopped her and told her that she cannot go any further. Woodley also said that the weird thing is that nobody else was being arrested near her. But the authorities reported that they arrested almost 20 people during the protest. In the statement, her publicist also said that Shailene appreciates the support she is receiving. Also, she said that many people should join the cause and act against the construction of the Dakota pipeline. 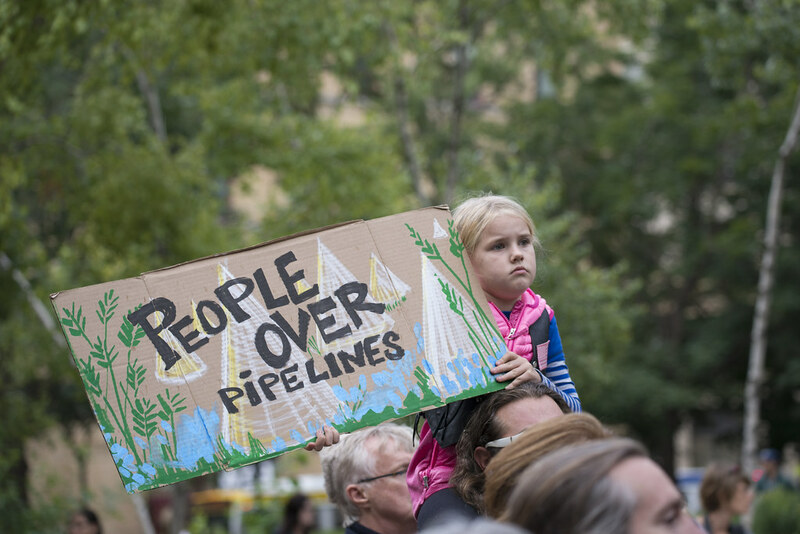 Over the last weeks, protesters have been fighting against the construction of the pipeline. They have clashed with the police forces many times and will probably continue to do so. Woodley is not the only famous person that the authorities arrested here. The police placed Green Party presidential candidate Jill Stein into the custody for the same reason. Protesters have accused the forces of using pepper spray and tear gas on them. Energy Transfer Partners, which is the developer of the pipeline has said that this construction is going to help the U.S. become more independent. The country will no longer have to import energy from other places in the world. When the construction is done, the pipeline is supposedly going to carry over 470 000 barrels of crude oil a day. Another worry of the demonstrators is that if the pipe will break under the Missouri River, it will affect the water supply. But the tribe cannot do anything to stop the construction. It has not met the necessary requirements to do so. Most probably, they will continue the construction of the pipeline anyway.